If you aspire to be a construction manager for a top firm in the UK, then the CSCS test for both managers and professionals is a “must take” for you. You need to take a CSCS professionals test in order to get this card which is more like a certification. 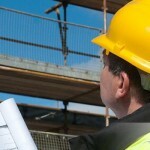 The CSCS card is like a green card in any construction firm. This card qualifies you for all top jobs in the construction sector. In order to scale through this exam, you need to study hard and also obtain the right materials that will guide and teach you everything you need to know about this test. The CITB professionals and managers test helps to raise safety standards across the construction sector. It’s a way to ensure that a manager understands the standard level of health and safety to maintain in a construction site. It also helps keep workers in check for safety. The manager and professional’s test lasts for about 45 minutes and comes with 50 questions. The test is made up of behavioural case studies and general knowledge questions. What materials are good enough for me? There are countless of materials available on the internet for people to use but very few of them contain the necessary information’s that any aspiring individual will need to pass cscs exam. Here at Construction Helpline, we strive to give our readers the very best revision material that is available online and in stores. This is why we created the CSCS revision material. Our materials will walk you through everything you need to know about the CSCS professionals test. Where can I take the CSCS test? We arrange CITB tests for interested individuals who are keen to take their careers to the next level of excellence. With this test you will not only be eligible for a CSCS card but you’ll also be equipped with the basic knowledge to maintain a healthy and safe construction site.